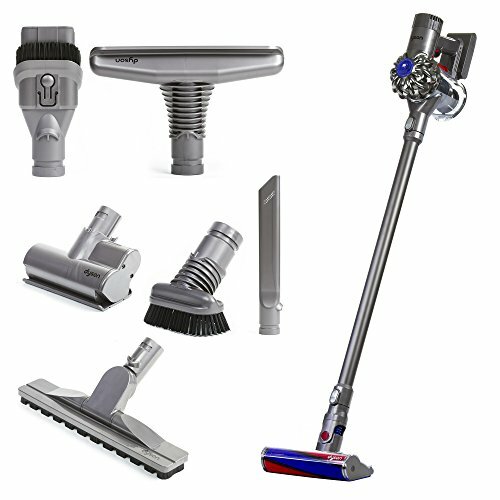 If you’re shopping for a Dyson cordless vacuum cleaner, you already know – they are NOT cheap. But, after some in-depth research, let’s talk about where to find the cheapest Dyson cordless vacuum cleaners online. 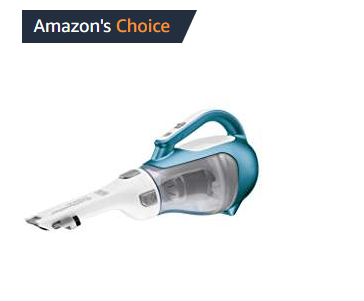 I’m gonna be straight up with you – it’s HARD to find GOOD deals on Dyson vacuum cleaners so it’s important to know WHERE to look to watch prices for sales and deals. 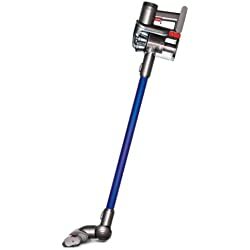 Dyson cordless vacuums are on sale on this page quite often. Keep that page bookmarked so you can check it often and grab a great deal when you see it. If you want the best deal possible on a Dyson cordless vacuum cleaner and you’re open to all options, you might want to consider one of these below. Below are the current deals and cheapest sale prices on Dyson cordless vacuums – if it’s marked in red, it’s on sale. Consumer Reports called this specific Dyson Cordless Vacuum “the best stick vacuum we’ve ever tested”. Which Dyson Cordless Vacuum is Best? 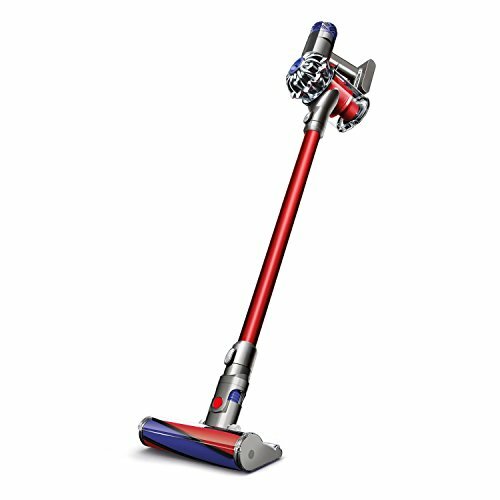 There are a few attributes that all Dyson cordless products are well-known for and most of these fall into the categories of power, technology, and capability; we’ll start with power first. 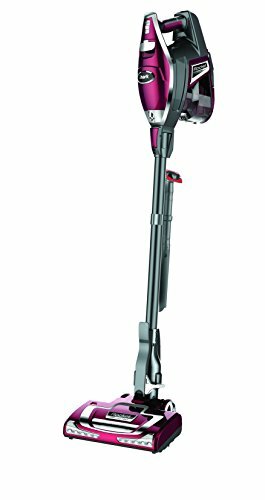 Each Dyson cordless vacuum cleaner is powered by a 22.2v rechargeable battery. This is a fade-free battery; meaning that you will get consistent power from the vacuum up until the battery is completely drained instead of having the power fade over time. The battery life will vary between each Dyson cordless vacuum cleaner model as you will learn in a moment, but I want to point out that the battery is affected by the “Dual Power Mode” feature built into each of the vacuums. One setting allows for more battery life at the expense of suction power, while the other setting allows for a more powerful suction at the expense of battery life. 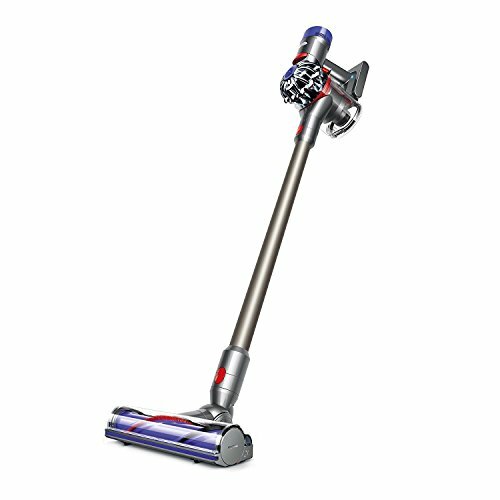 The technology behind the superior suction of these cordless vacuums is arguably one of the best-selling points as well. Each has what’s called a Dyson digital motor. This motor spins up to 104,000 times a minute and powers the suction that has made Dyson vacuums such great products. 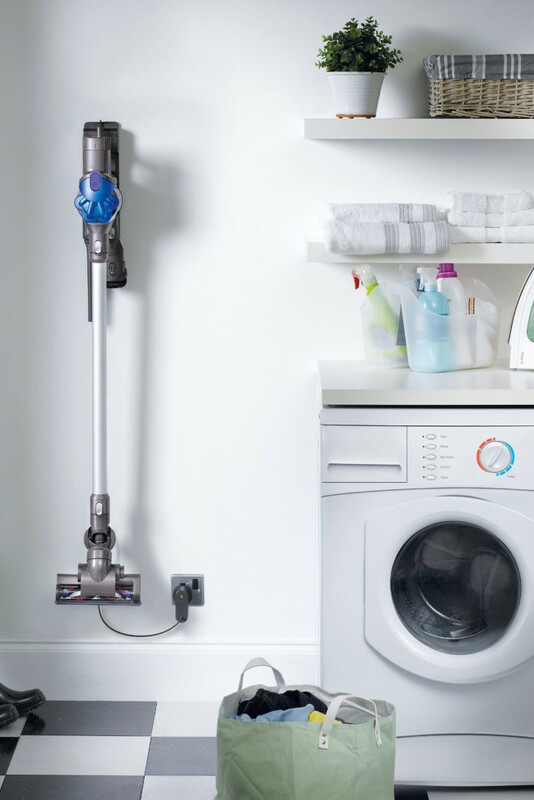 This suction is in part due to what Dyson calls Root Cyclone™ technology. This technology uses powerful centrifugal forces to pull dust and dirt from the air. One of the great advantages of this is the fact that a Dyson vacuum does not require any vacuum bag. Vacuum bags are one of the main contributors to a vacuum losing suction over time. 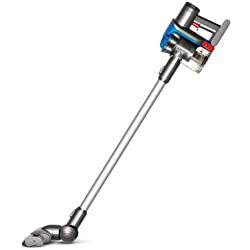 Before buying any model Dyson cordless vacuum, you need to compare each model to find which vacuum cleaner is truly right for you. After our comparison of Dyson’s cordless options, this is what we’ve found out. 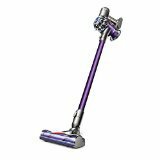 ✅ The Dyson DC34: This is a vacuum great for small jobs. It’s a handheld and one of the lightest you will find on the market with this kind of suction power. It weighs 2.9 lbs and includes a combination and crevice tool for hard to reach places. 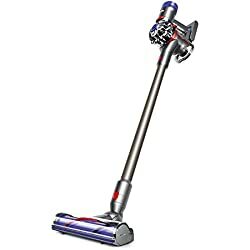 You will get about 15 minutes of battery life with this vacuum but it will be reduced to about 6 minutes in its max mode, but you’ll get way more power out of it. 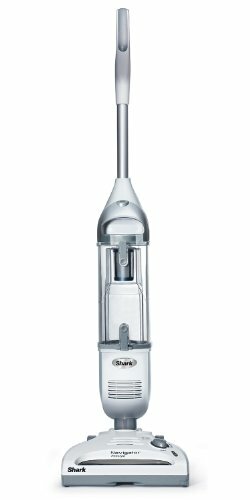 This is the kind of vacuum you want around the house for small spills or to vacuum your car or boat. 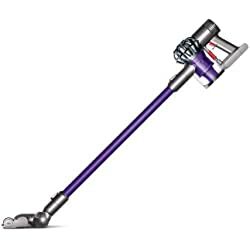 ✅ The Dyson DC35 Multi Floor: The name pretty much says it – this one is optimized for making quick work of dirt and debris on different floor types. 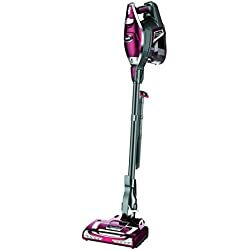 If you need to go from carpet to hardwood, vinyl or tiled floors, this may be the vacuum for you. 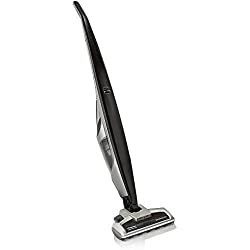 It’s similar to the DC34 in that it’s light and compact, but it also includes a wand to extend its reach and a motorized tool with anti-static carbon fiber brushes that improve the vacuums ability to pick up fine dust particles. 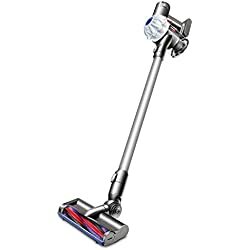 You can get about 13-15 minutes of cleaning time with this vacuum, depending on if you are using the motorized floor tool or not. In max mode you will get about 6 minutes. ✅ The Dyson DC44 Animal: If you have a dog or cat then this one might deserve more of your attention. 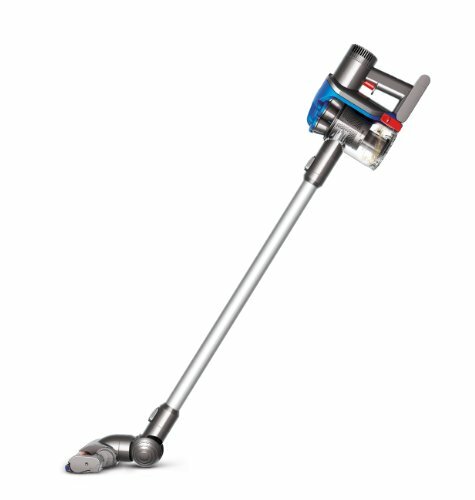 Like the DC35, this vacuum includes a wand to increase its reach as well as the motorized head with anti-static carbon fibers. But what makes the DC44 stand out is that it also includes a mini motorized tool that’s excellent for getting pet hair off your furniture. 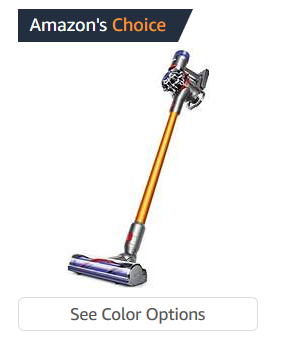 This vacuum also includes extended battery life. You will get about 20 minutes of cleaning time or 8 minutes of cleaning time if it’s in max mode. 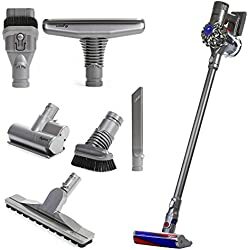 As you can see, while each of these vacuums share many of the strengths that have made Dyson cordless vacuum cleaners very popular, you will want to considers your needs well before choosing the one that’s right for you. Personally, I’m not a big fan of Dyson vacuum cleaners. YES, they are awesome, but they are SO expensive and, in my opinion, way over-priced. 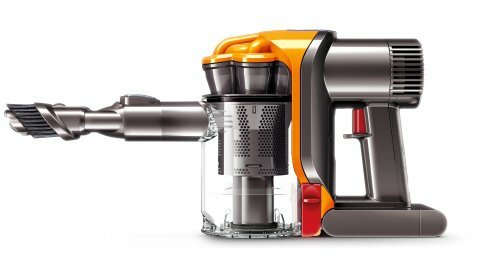 Here are my winners when comparing Dysons to other cordless vacuums. 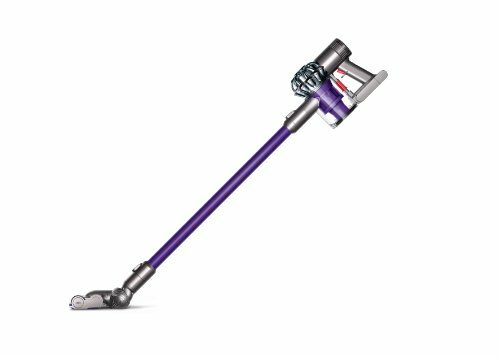 Let’s do the math: For the price of ONE Dyson cord-free vacuum, I could buy 3… 4 or MORE of MY favorite cordless vacuum cleaner. ✅ This is a WONDERFUL cordless vacuum cleaner and SO much cheaper – and it works great! I vacuum like crazy AND we have pets (and kids) meaning: I put my vacuum cleaner through a beating and I truly don’t believe ANY vacuum cleaner will last for years and years in my house under my conditions. But so far, this cordless vacuum cleaner has held up VERY well for me. And I’m not the only one that loves it either. You might also like: ✅ Shark Rocket Ultra Light – Worth the Money? I vote for THIS cordless vacuum. 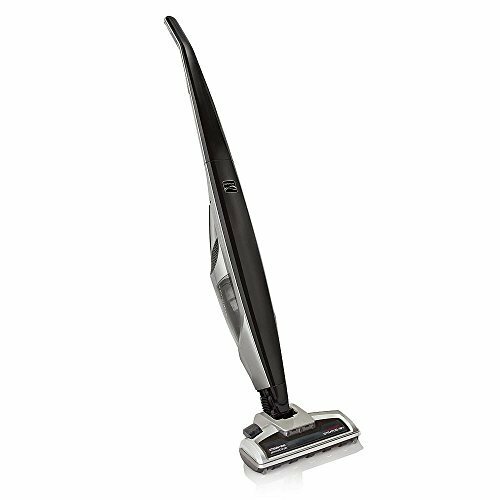 If all you really want is a lightweight cordless vacuum for your stairs, your car or other quick vacuuming jobs, can I recommend getting this Black and Decker cordless hand vac. It works really well, is easy to grab and use, and it’s much less expensive than a Dyson cordless vacuum cleaner. Plus – it holds a charge for 18 MONTHS! How awesome is that?!?! The nozzle rotates and it has an easy to clean removable filter. Highly recommended – read the reviews here. That is a HUGE compliment.. the Consumer Reports testers are TOUGH. 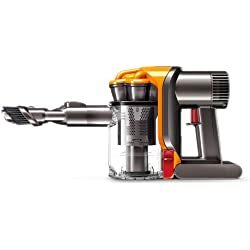 BUT, that cordless model from Dyson is VERY expensive (check current prices here). 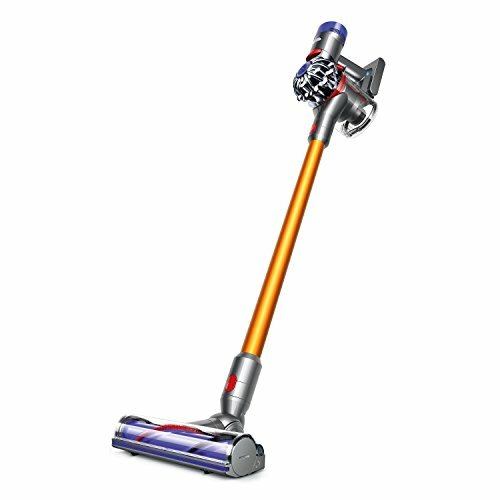 Dyson cordless vacuums are expensive, but are they worth the money? There’s no doubt that there are a LOT of true fans when it comes to Dyson vacuums – as there should be. 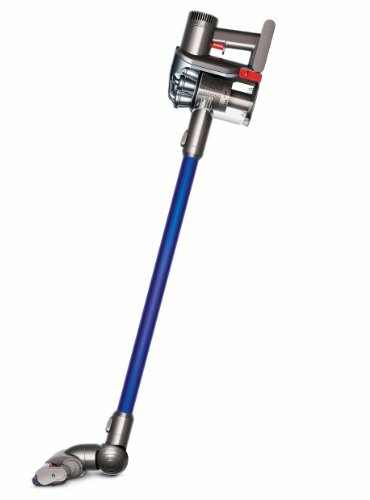 There is a lot of hype and good marketing with Dyson cordless vacs as well…but does that make them WORTH it? Their true fans certainly think so. However, I am not one of those fans. I simply cannot see spending THAT much money on a vacuum cleaner. This is MY favorite cordless vacuum cleaner. It works really well and is WAYYYYY less expensive than any Dyson cordless vacuum. ✅ Bottom line: While Dyson cordless vacuums might be worth the price tag to some, I recommend saving your money and instead of a Dyson, buy this much cheaper option that gets the job done just as well. You might also like: ✅ What IS the BEST Carpet Cleaning Machine?